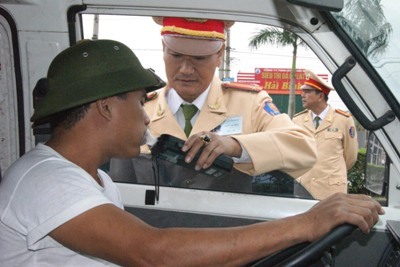 The AlcoSense Prodigy II breathalyser is being used by Vietnam police to conduct random breath tests (RBTs) in the Quang Ninh province. 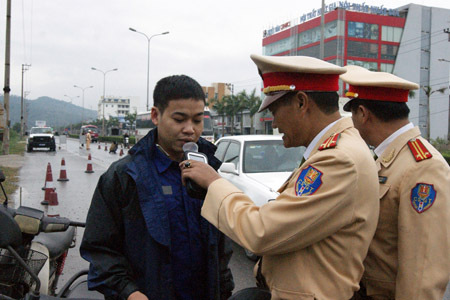 Since November of last year, Vietnam police officers have been implementing an efficient and simple process for breath testing drivers. 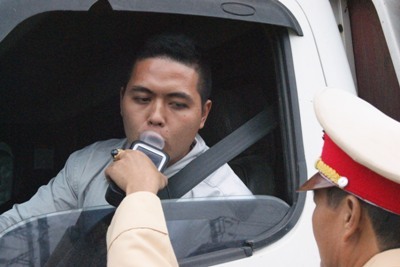 First, they conduct a breath test in passive or fast mode, i.e. the driver blows into the sampling cup on the AlcoSense Prodigy II to get either a ‘yes’ or ‘no’ result indicating whether alcohol is detected or not. Fast mode testing provides the results within seconds and drivers are not required to get out of their cars for this test. Drivers with a ‘no alcohol detected’ reading finish the test and can move along within 10 seconds. If alcohol is detected, the driver is required to take another test in normal mode testing, where a specific, 4-digit reading is provided. The news article reports that breath testing procedures conducted in Quang Ninh have shown that the method above is highly effective and efficient. 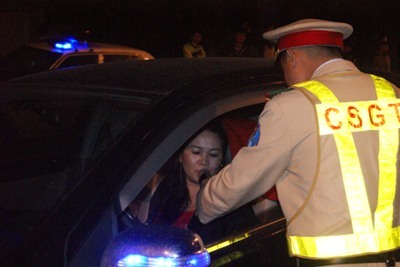 After 20 days of conducting RBTs during peak hours, the Quang Ninh Police have stopped 3,500 cars, with 170 cases of drink drivers caught. 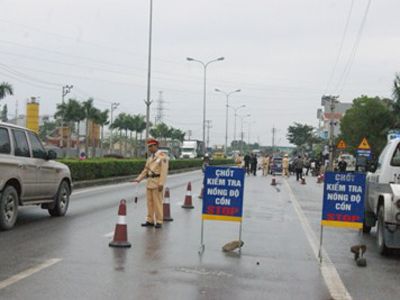 The National Road Safety Committee is expected to replicate this test method in five provinces, including Quang Ninh, Bac Ninh, Vinh Phuc, Ha Nam and Nin Binh. The AlcoSense Prodigy II is one of our top-selling industrial breathalysers with advanced electrochemical fuel cell sensor and dual mode fast and normal testing. The unit features a 3.2″ touch screen, memory capacity for 36,000 tests, a built-in printer and push-button for sanitary mouthpiece ejection. For all types of workplace testing and breath testing for medical or security purposes, the AlcoSense Prodigy II promises high performance and accuracy.